Get set to groove to the year’s ultimate party anthem bringing together a beat like never before – combining the magic of Punjabi with Rap! The iconic Dr Zeus presents an all new track “Woofer” feat. 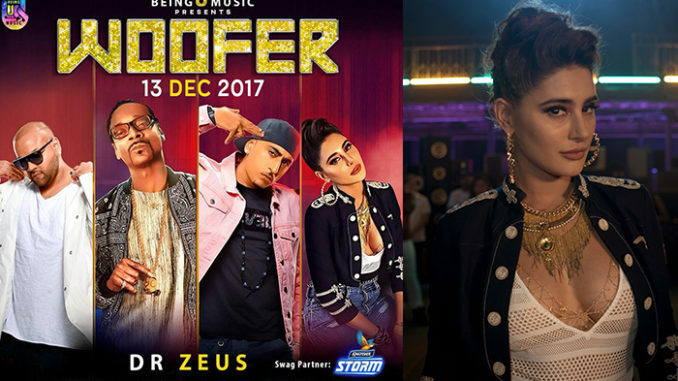 none other than the risqué rapper Snoop Dogg rapping alongside UK based Punjabi singer Zora Randhawa. The video, with captivating visuals is also a singing debut of the stunning actress Nargis Fakhri who is seen grooving to the music. Shot in Los Angeles, California, the song has been produced by BeingU Music – a record label dedicated to the global music movement by popularizing independent Indian music across the world by virtue of exciting collaborations with a solid focus on Punjabi artists. They are all set to make a lasting impact with this track and the rest of their offerings that will be unveiled in the upcoming months. BeingU Music has also partnered with the global music giant Sony Music and through this exclusive partnership, they intend to present fans with compelling musical content in the coming year starting with Woofer.